This new book from Antonio Negri, one of the most influential political thinkers writing today, provides a concise and accessible introduction to the key ideas of his recent work. Giving the reader a sense of the wider context in which Negri has developed the ideas that have become so central to current debates, the book is made up of five lectures which address a series of topics that are dealt with in his world-famous books empire, globalization, multitude, sovereignty, democracy. 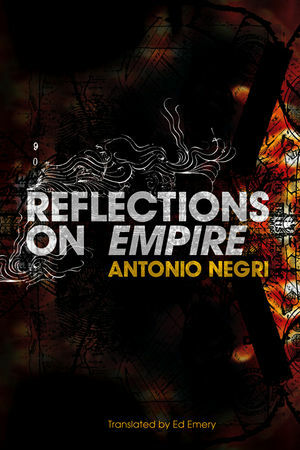 Reflections on Empire will appeal to anyone interested in current debates about the ways in which the world is changing today, to the many people who are followers of Negri's work and to students and scholars in sociology, politics and cultural studies. Antonio Negri was formerly Professor of State Theory at the University of Padua. "As a series of brief pointers to the theoretical architecture of Empire it is an excellent primer." "Reflections on Empire and Empire and Beyond offer accessible points of entry to Negri's project with Hardt, which build, in their cumulative effect, to a sophisticated reflection upon its key ideas and their evolution - one that rewards close reading, even among those already familiar with his work."